This book (available here) has been eagerly awaited by both Tolkien fans and Anglo-Saxonists alike. For the most part it was written in the 1920’s but was never intended for publication; In fact the scholarly and obsessively perfectionist professor later wrote to a friend lamenting the fact that the translation was ‘in much, hardly to my liking’. It has taken much work by Christopher Tolkien to get it into a state where it was fit to be published. 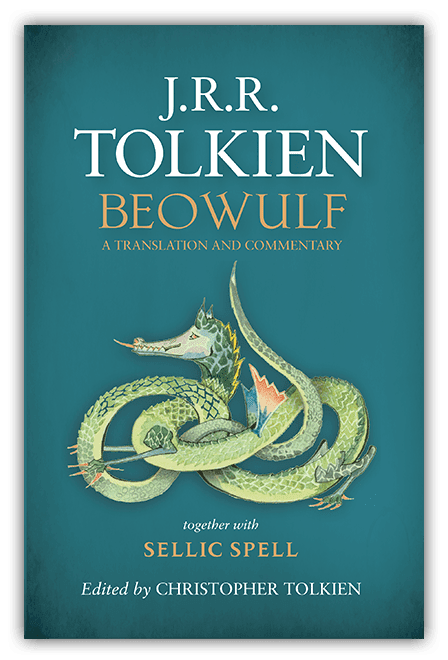 Given the importance of the Beowulf text to our understanding of the language, beliefs, culture and worldview of the early English, and given Tolkien's almost legendary reputation as a scholar of Old English, the publishing of this book is an important milestone, and the text itself is very much worth examining and discussing. It is worth beginning by noting what an achievement any completed translation of Beowulf truly is. Most scholars of Old English will readily admit how daunting, laborious and occasionally frustrating a challenge the task represents, with the original text itself riddled with ambiguities, and phrases with meanings not easily summed up in modern English. Crucially it is important, also, to recognize that a translation of any poem into another language may preserve the precise meanings of each phrase, or emulate the aesthetics of the original, but it is close to impossible to do both. All translations therefore exist on a spectrum from strictly accurate reference texts to relaxed poetic versions more pleasing to the ear. The translation in question was completed one year into Tolkien's post as professor of Anglo-Saxon at Pembroke College, Oxford and served as a basis for his lectures on the subject. He seems to have continually evolved the translation over the years and the book demonstrates Tolkien’s ongoing struggle to wrest every last jot of meaning from the Old English. The book includes the actual prose translation with alternative sections, notes, a copious commentary - culled from his lectures plus a short poem - ‘The Lay of Beowulf’ and a ‘fairy-tale’ re-telling of the basic Beowulf story; ‘Sellic Spell’ both in Old English and Modern English. Tolkien’s aim was to produce a translation as exact as possible. To that end he regretfully abandoned any attempt to formulate the translation into alliterative verse, instead opting for prose. The commentary explains in considerable detail why certain difficult words and phrases are translated as they are; as well as the difficulties concerning missing or incomplete words (The Cotton Vitelius A.xv manuscript which held the only copy of the Beowulf Poem was almost destroyed when fire consumed the Cotton Library in 1731). He also discusses the problems caused by Anglo-Saxon words which may have been misspelled by the copyist, obscure, non-West Saxon terms and Hapax legomena - words that occur only once within the entire Old English language. However, it must not be forgotten that Tolkien was a product of his time and his insights into the poem entirely philological. He decried the use of the poem as a source of archaeological and historical information but today, in the light of almost a century of research and archaeological discovery, we can recognize that the descriptions of ‘pattern-welded’ swords and ornate helmets in the Beowulf text are outstandingly accurate. The translation is, in its formulaic circumlocution, in parts, almost unreadable. The strange fairy-tale, proto-Beowulf, ‘Sellic Spell’ is disappointingly childish and deviates alarmingly from the poem. It offers no insights into the real mysteries of the Beowulf poem: that of the origin and motives of Grendel and his mother. Tolkien also uses many translation terms which now sound dated and inappropriate; which give the wrong impression to the modern reader. For instance, he repeatedly uses the word ‘knights’ to translate the Old English word ‘þegna’ where today we would prefer ‘thegns’ or ‘warriors’, which terms lack any obtrusive ‘Arthurian’ or High Medieval connotations. Tellingly, Heaney simply uses the word ‘men’. One must ask, then, if an eighty year old translation of Beowulf is useful. The answer must be yes but only because it was penned by J.R.R. Tolkien and indeed it will be an invaluable source for the serious and dedicated student of Old English. However, I expect (and indeed hope) it will not replace well-established middle-of-the-road translations such as that of Michael Alexander (Penguin Classics) which combines poetic form with decent accuracy. Tolkien’s translation almost exactly counterbalances Seamus Heaney’s inspired verse (and dreadful inaccuracy) in its pedantic exactitude and barely readable style, but even so, must be read with care . I have asked myself if I would have purchased this book when I was a first year undergraduate and have to admit that I probably would have - but I would have still bought Michael Alexander’s version to read for pleasure. Overall, then, this book is an impressive work but very much an academic work rather than a popular adaption. The book is as much about the process of reaching for perfection in translation as it is about Beowulf itself, and perhaps works best as a window into the mind of the translator. The immortalisation, in print, of Tolkien's takes on a host of linguistic matters will no doubt be invaluable for scholars of Old English. The translation, however, though painstakingly precise has its flaws, and crucially must be read with both caution and understanding. It is startlingly clear how much the archaeological discoveries of the last eight decades have transformed our view of Beowulf, and rather than being the "last word" on the subject, Tolkien's translation highlights that our comprehension of the text may never cease to evolve. French in addition is one of the officil languages of many institutions and organizations including the International Olympic Committee and the United Nations. If you’re thinking about learning a second language Human translation, either for career causes or simply for personal enrichment, think about French.